THEY came in their hundreds, clutching their Kilmarnock scarves to see a decades-long romance finally consummated. 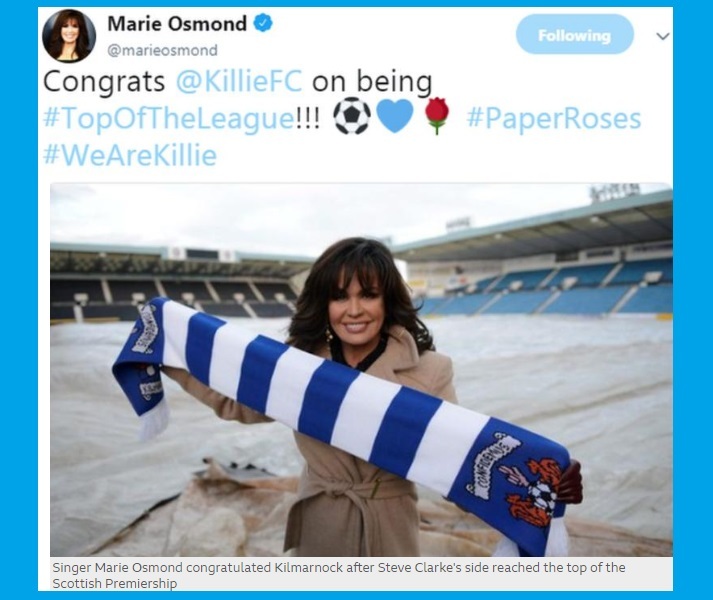 Marie Osmond, the US singer, had come to Rugby Park to meet the fans who have adopted her Paper Roses song as their own. And she didn't disappoint. Introduced to the crowd of 500 as Kilmarnock's number one fan, Osmond was greeted with wild whoops and applause. In return she put in a performance truly fitting for a diva – recounting her love for the club and kissing their Communities League Cup. And the fans lapped up every second of it. 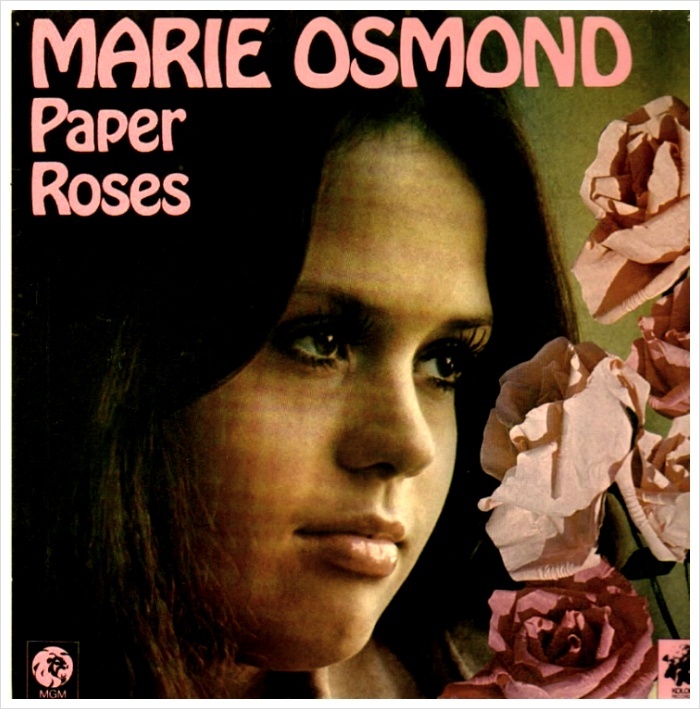 The story of how Kilmarnock Football Club came to adopt Osmond's 1973 hit Paper Roses as their unofficial anthem is not entirely clear. According to one club official, it goes back to a game when they were being hammered by Dumbarton. "They decided to sing the worst song in the charts at the time, and her's was the worst song," she said. Whatever the origin, it was clear the country and western tune is now close to Killie hearts as fans waited for an hour in fervent anticipation for her appearance at the Park Hotel beside the ground. Osmond, 53, visited the club ahead of an appearance at the SECC in Glasgow last night with her brother Donny and Susan Boyle. She took to the stage in knee-high boots with five-inch heels wearing a Kilmarnock scarf draped over her black top and tight-fitting jeans . Her appearance at the club, she explained, was all down to a chance meeting in Las Vegas with life-long fan Robert Morton who asked her to sign a Kilmarnock shirt. She said: "I had no idea Paper Roses was a football theme song until Robert came to Las Vegas and told me in 2009. I have followed them ever since." 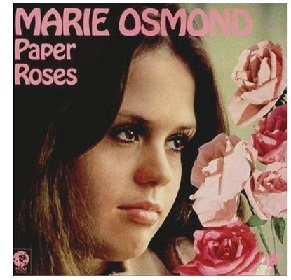 Osmond, who hosted TV variety show Donny & Marie with her famous brother, was presented with a book of Burns poetry and a commemorative glass bowl. But it was her flirting and wisecracks that really got the crowd going. Sitting for a question-and-answer session, she beckoned over her kilted interviewer and proceeded to rub his bare legs, leaving him thoroughly tongue-tied. Asked for her beauty tips, she responded: "Just be a Killie fan." Taking about manager Kenny Shiels she said: "He says it like it is. And I like a man with an opinion." The best, however, was reserved for fans' favourite Garry Hay, a midfielder who has been with the club for almost 20 years. Posing on the stage with the cup, Osmond spotted tracksuited Hay in the crowd and beckoned him on to the stage. "He started playing here when he was really young. I think that is lovely. "And you're cute too," she told him as the pair embraced. Osmond was presented with a named shirt and pledged to stay "forever a Killie girl". All that was left then was for her to take the microphone, down her bottle of water and serenade the crowd with a live performance of Paper Roses. For their part the crowd stood and swayed with scarves in the air and sang back twice as hard. And then it was over. Osmond insisted on seeing the stadium before rushing off to her gig. And fans were left to stagger home wondering what exactly they had just witnessed. "Absolutely brilliant," muttered life-long supporter William Walters, 65, as he pulled on his woolly hat to leave. "Never seen a day like that. And we'll never see a day like it again."